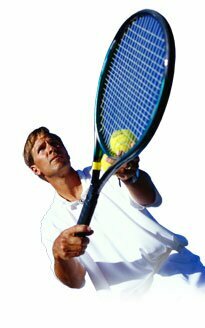 You've just found one of the most Powerful and Unique sports instruments ever created ~ an amazing new device which has the potential in its own right to completely revolutionise the way you play your chosen game. It's been termed "sport's new wondertool" and we promise that you are going to be totally amazed... and totally hooked within seconds of picking one up for the first time. 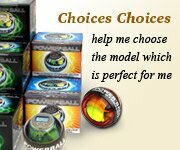 Your new NSD Powerball is the World's most perfectly balanced hand gyroscope ~ bar none! It is small and perfectly crafted and the first time you put a live one in your hand, you're going to be absolutely blown away with the mountain of inertial force that it can create. It literally comes alive, thrashing and jerking furiously, as your arms, wrists, shoulders and chest struggle to control and stabilise it - on and on it goes until even the fittest of athletes have to admit defeat and give up! Its secret lies in the way it isometrically tests the muscle groups - You can be seriously fit as a athlete (and even have the ability to curl the heaviest of dumbbells down in the gym) but we absolutely guarantee that you will still burn after just minutes of using this incredible instrument - and that's what makes it so totally unique and so absolutely indispensable to your game. 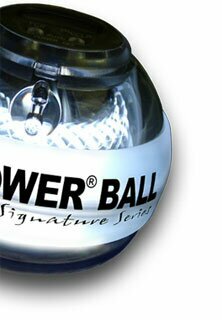 Power in the shoulders, arms and wrists is one of the main contributing factors to excellence in up to 95% of all sports and is the key to the massive success that the NSD Powerball can inflict upon your chosen game. Using this product for just 28 days will create serious strength in the wrists and arms [of the user] all of which directly translates into a major boost in distance and endurance for virtually all current sports and activities. Karl Woodward - Golf Professional and holder of the Guinness World Record golf drive 'longest carry' - 408 yards 10 inches. "...body armour for the wrists and arms! " Backed by the proven results of 1000's of users - NSD Powerball gyroscopes will help you to get the results you are looking for in your chosen sport or pastime faster and with less effort that you could have ever imagined possible and we totally guarantee it. Shall we go on... ? As with every other aspect of this exciting product, we offer it to you with the promise that it will live up to absolutely every claim and statement we have made for it on this site. We welcome you to take us up on our lifetime money back warranty and see for yourself exactly why NSD Powerball is going to take the game that you play and turn it on its head!